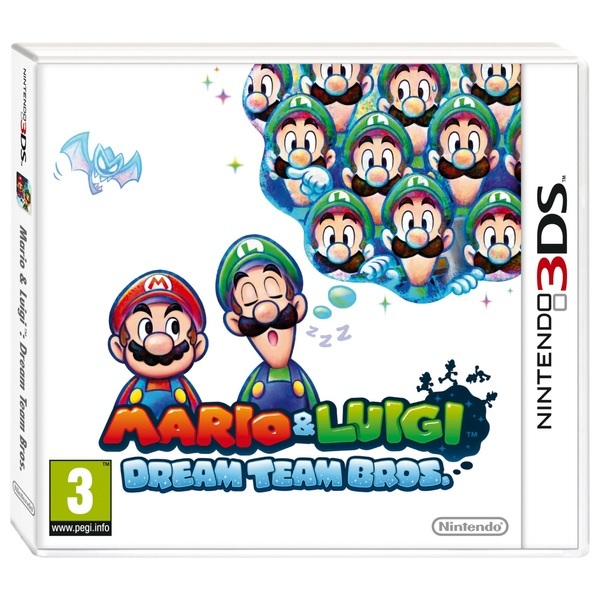 Adventure with the Mario Bros into a 3D dream world to rescue Princess Peach in Mario & Luigi: Dream Team for Nintendo 3DS. Mario & Luigi: Dream Team is a fun role playing adventure that takes place in the strangest Mario Bros location yet – Luigi's dreams! When Princess Peach is kidnapped from Pillow Island, Mario will have to enter a strange dream world called Pi'illo Island to save her, which can only be done by Luigi going to sleep on some magical pillows. As Mario heads forth on his quest, he can be assisted by Dreamy Luigi, Luigi's dream counterpart who can merge with the dream environment – you can even have multiple Dreamy Luigis turn up to help!